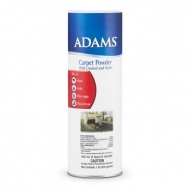 Adams™ Carpet Powder kills fleas and ticks on carpet. It contains an Insect Growth Regulator that kills all four stages of the flea: adults, eggs, larvae, and pupae. It breaks the flea life cycle and controls reinfestation for up to 365 days. 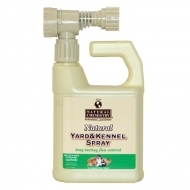 Kills fleas, ticks, flea eggs, flea larvae and flea pupae. Treats 1-2 rooms (200-400 square feet). Strongest formula available with Pyrethrum and Nylar ‑ Interrupts the reproductive cycle and eliminates pest. 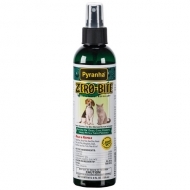 Offers 180 day residual for roaches and 210 day residual for fleas. Our Number One selling fogger, convenient 6 oz. can treats up to 6000 cubic feet. When your customers have insect problems, this product is the answer.